Diploma Mechanical Engineering Meenakshi Krishnan Polytechnic College, 2002. V. Anand, Edwin. A Devansh S Saraf, T.Sakthivel, B. Anishaa Harshinee R. Apharna (2018), Design and Development of Self Adaptive Dynamic Vibration Absorber, International Journal of Mechanical and Production Engineering Research and Development (IJMPERD), Vol. 8 (2), PP 1321-1346. (Scopus Indexed). V. Anand, Edwin. A, D. Justus Reymond, K. Prasanna, S. Ramesh, Sija Arun (2018), Energy Absorption and Ballistic Impact Behaviour of Kevlar Woven Fabrics, International Journal of Mechanical and Production Engineering Research and Development (IJMPERD), Vol. 8 (1), PP 1199-1208. (Scopus Indexed). With Edwin.A and Prasanna.K, “Sustainable Development through Functionally Graded Materials”, Rasayan Journal of Chemistry, Vol. 10, Issue 1, pp. 149 – 152, January -March 2017. Working as a Teaching Assistant in SRM Institute of Science and Technology (formerly known as SRM University), from 2011 to till date. 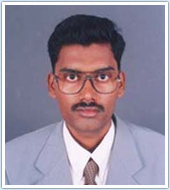 Worked as a Technical Assistant in SRM Institute of Science and Technology (formerly known as SRM University), from 2007 to 2011. Worked as a Supervisor in Saber Pens Pvt Ltd, Chennai. Worked as a CNC Operator in Super Auto Forge Pvt Ltd in Chennai. Affiliation: Department of Anaesthesiology, SRM Medical College and Research Center, Kattankulathur Campus. With Balachandran. Comparison of the efficacy of tramadol infusion with fentanyl for postoperative pain relief in adults. With Balaji R. Comparison of the efficacy of transdermal buprenorphine patch with fentanyl for postoperative pain relief in adults. With Jayakar, Comparison of fibreoptic positioning of Proseal laryngeal mask airway with Igel in anesthetized adult patients. 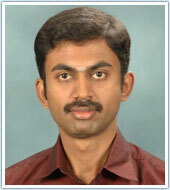 Faculty in Department of Anaesthesiology in SRM Medical College from 2008 till date. Research paper selected for Kops award in ISACON 2009. Affiliation: Department of Business Administration, Faculty of Science & Humanities, Kattankulathur Campus, SRM Institute of Science and Technology (formerly known as SRM University). M. Anand, V. Joseph Raj, A.P.Santhakumaran, “Genetic Based Neural Network Architecture for Diagnosing Lung Diseases” in International Conference on Electronics Computer Technology, ICECT 2012, Kanyakumari, India. Affiliation: Department Of Psychiatry, SRM Medical College Hospital & Research Centre, SRM Institute of Science and Technology (formerly known as SRM University), Kattankulathur. S.V. N.Raghava Aditya, B. Ananda Venkatesan “Monitoring of Industrial Machine Parameters in an internet of Things” Published in an International Journal of Control Theory and Applications, 9(10) 2016. S.V.N.Raghava Aditya, B.Ananda Venkatesan “Monitoring of Industrial Machine Parameters in an internet of Things” International Journal of Control Theory and Applications, Vol 9(10) 2016. Presented a paper in National conference titled ‘Unmanned Automated Vehicle for Foreground Object using HMI by Kalaivani College of Technology 9th March 2014. Presented a paper in National conference titled ‘Modified D Flip-Flop Based on Pass Transistor Logic for Future SOCs’ conducted by Saveetha University, 4th April, 2014. Presented a paper in National conference titled ‘Highly Optimised CAM by Using ML’ conducted by Saveetha University, 4th April 2014. 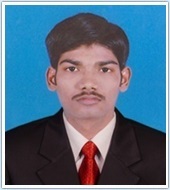 Presented a paper in International conference titled ‘Minuate Features extraction in fingerprint’ conducted by Thiruvalluvar College of Engineering, 28th & 29th January 2012. Presented a paper in National conference titled ‘Modified D Flip-Flop Based on Pass-Transistor Logic for Future SOCs’ conducted by Saveetha University, 4th April, 2014. Presented a paper in National conference titled ‘Highly Optimized CAM by Using ML’ conducted by Saveetha University, 4th April, 2014. 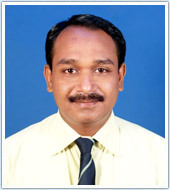 Lecturer, Dusi Polytechnic college, from 2003 to 2006. Participated in the Two day workshop on Advanced Antenna Technology held on 10-11th Jan 2014, SRM University. Participated in a Mission10X Workshop conducted at Saveetha University at Kanchipuram, 29th December to 2nd January, 2010. 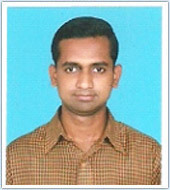 Participated in the One day faculty workshop on Signal and Image Processing held on 30th April 2011, Saveetha Engineering College. Participated in the National Level Workshop on VLSI, MEMS & Integration organized by VIT Chennai during December 9th -10th, 2011. Anandh S, K Gunasekaran, “Investigation on mechanical properties of partial replacement of sawdust to fine aggregate in coconut shell concrete”, vol.7, pp-415-419. Sindhu Nachiar S, Anandh S, “Behaviour of foam concrete at high temperature”, International Journal of Pure and Applied Mathematics, Vol 118, No.24, pp 1-11. April 2018, Special Issue. Sindhu Nachiar S, Anandh S, “Analytical Study on the behavior of Partially Infilled Frames using Finite element Technique by Heterogeneous Model”, ”, International Journal of Pure and Applied Mathematics, Vol 118, No.24, pp 1-11. April 2018, Special Issue. Sindhu Nachiar S, Anandh S, Jeyem Veerarajan, “Study on the behavior of Cellular concrete slab”, International Journal of Engineering and Technology, Vol 7, 2.12, April 2018, pp 420-424. Anandh S, Sindhu Nachiar S, Jagannatan S, “ Study on Impact of Partial replacement of cement by textile sludge and GGBS in concrete”, International Journal of Pure and applied mathematics, Vol 119, No.7, March 2018, pp 1195-1201. Victor Matangulu Shrestha, S Anandh, and S Sindhu Nachiar,” Experimental study on the strength parameter of Quarry Dust mixed Coconut Shell Concrete adding Coconut Fibre”, IOP Conf. Series: Earth and Environmental Science 80 (2017), IOP Publishing, pp 1-7. Prabhu Booshan S, Sindhu Nachiar S and Anandh S,” Comparative Analysis of RCC and Composite Structures With Different Vertical Irregularities”, Pakistan Journal of Biotechnology Vol. 14, 2017. pp 279-282. Harish Kumar and S.Anandh “Behaviour of a combination of coconut fiber and recron fiber in concrete” IJRET, vol.4, April 2015. T.Thiruvengadam and S Anandh, “Evaluation of expert system to eradicate various kinds of disputes in major contracts of construction projects” IJIRSET, vol 5, Issue 4, April 2016. Sindhu Nachiar S, Anandh S, Ankit Kamarkar and Kevin, “Comparative analysis of the behaviour of RCC pentagonal and hexagonal tube in tube structure and a conventional RCC pentagonal and hexagonal structure subjected to lateral load in different seismic zones” , Proceedings of International Conference on Theoretical and Experimental Advances in Civil Engineering”, SRMIST, May 10th – 12th , 2018. Anandh S, Sindhu Nachiar S, Vishnu Rajesh Nair and Praveen Prasad, “ Measuring resistance of various fiber reinforced concrete using coconut fiber, recron and hybrid fiber”, Proceedings of International Conference on Theoretical and Experimental Advances in Civil Engineering”, SRMIST, May 10th – 12th, 2018. Sindhu Nachiar S, Muthukumar S and Anandh S, “ Effect of retrofitting on High-Performance Geopolymer Concrete filled aluminum tubular section using Glass Fibre Wrapping”, Proceedings of International Conference on Civil Engineering and Infrastructural Issues in Emerging Economics”, SASTRA Univerity, March 16 & 17 – 2018. Workshop on “How to write and publish Scientific Articles and Manuscripts” by Springer Nature, 12th April 2018, SRM IST, Chennai. Workshop on “Cost Effective Building Technology”, 16th March 2018, MNM Jain Engineering College, Chennai. FDP on “Exploring Patent Filing Aspects”, 4th December 2017, SRM University, Kattankulathur. FDP on “Intellectual Property Rights and Industrial Applications”, 8th November 2017, SRM University, Kattankulathur. FDP on “Insights into Research”, 29th June 2017, SRM ISTKattankulathur. Workshop on “Tech Knowledge transfer between institute and industries in civil engineering “, 3rd- 4th March 2017, SRM University, Chennai. Workshop on “Tech Knowledge transfer between institute and industries on concrete and construction”, 4th March 2016, SRM University, Chennai. Workshop on “BIM using REVIT”, 29th January 2016, KKM Soft, AutoDesk. 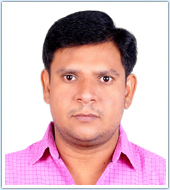 Assistant Professor (OG), Department of Civil Engineering, SRM University, Since 2012 to 2017. Participated in International Conference on Innovative Techniques in Science, Engineering and Information Technology by Vivekananda Institute of Technology and Science, Telangana. Participated in International Conference on Advances in Construction Materials and Systems by Indian Institute of Technology, Madras on 8th September 2017. Certified completion of Autodesk Revit Structure. Participated in Disaster Management by Indian Red Cross Society.